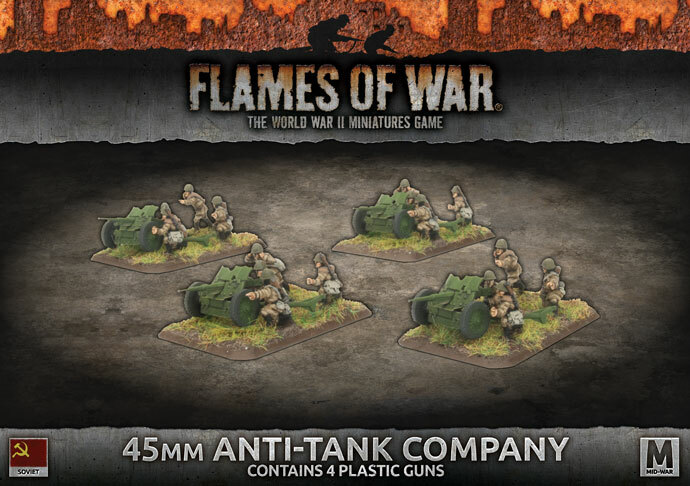 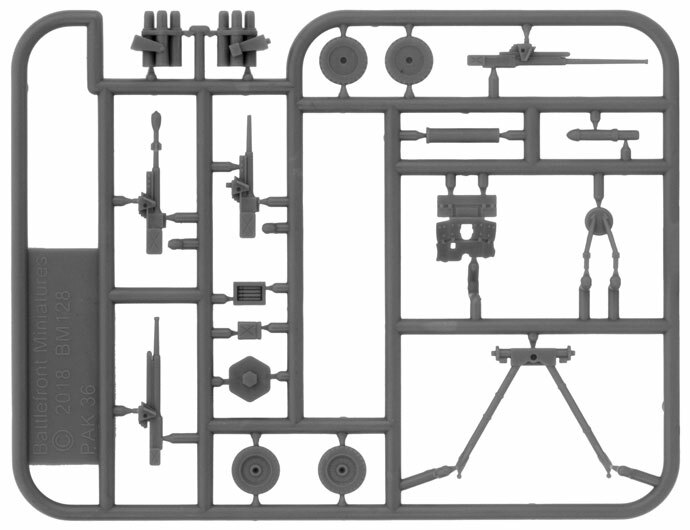 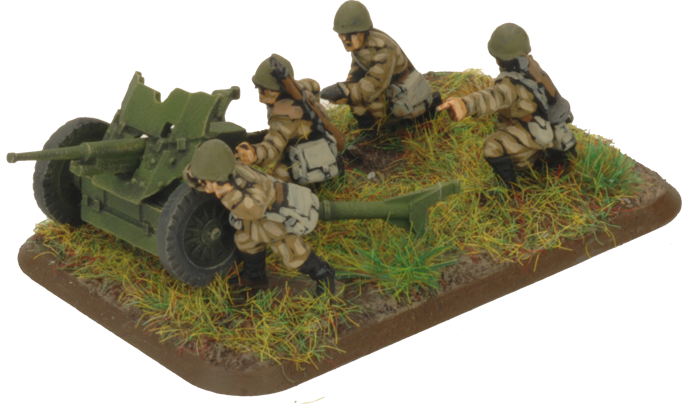 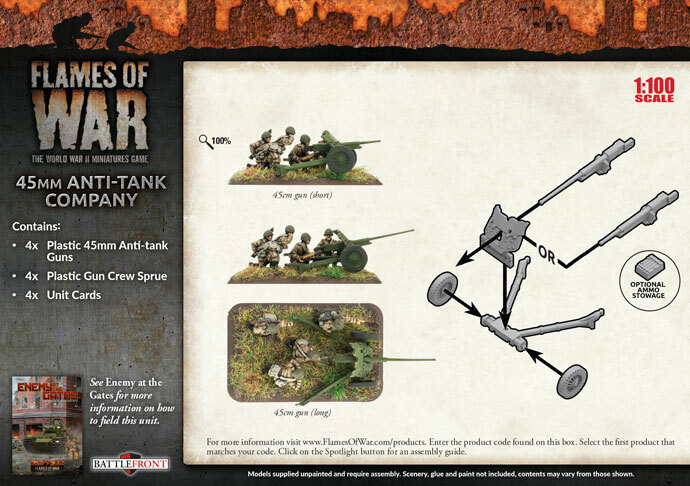 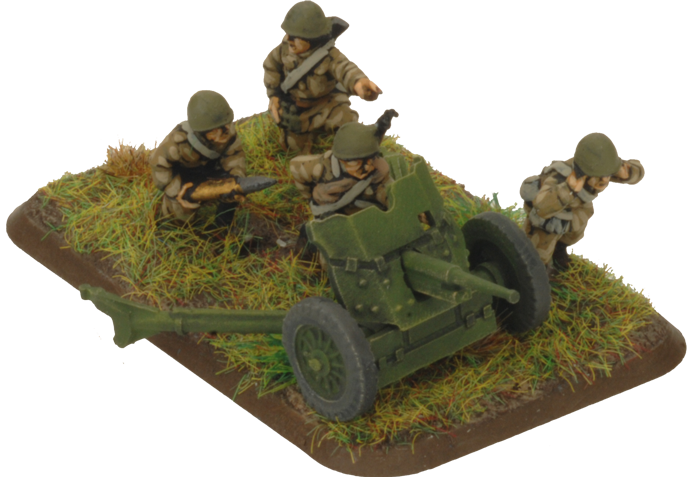 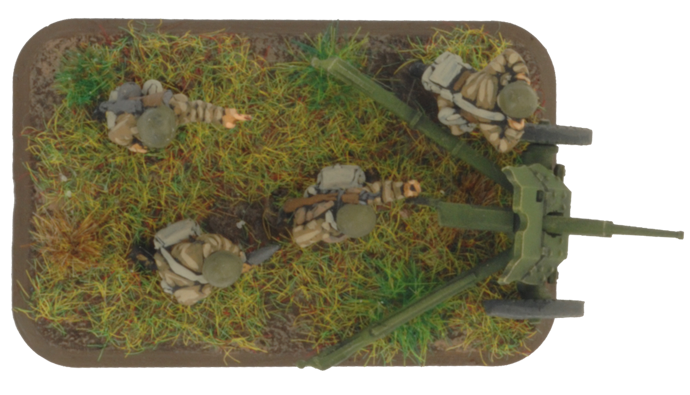 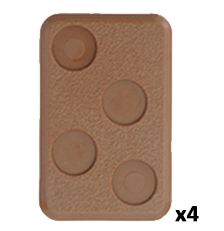 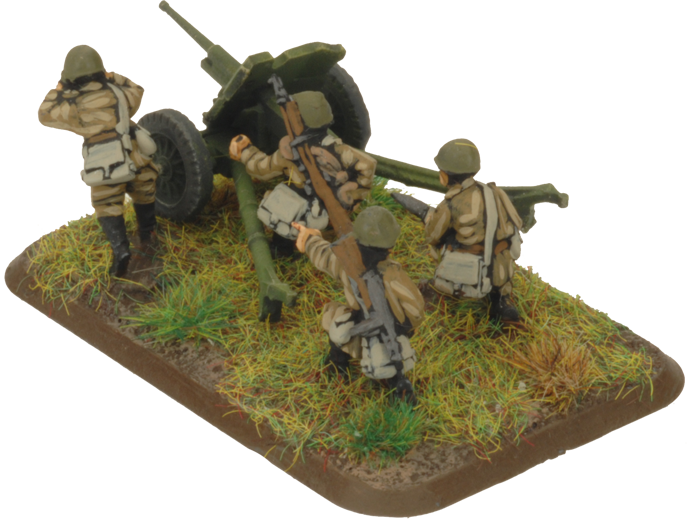 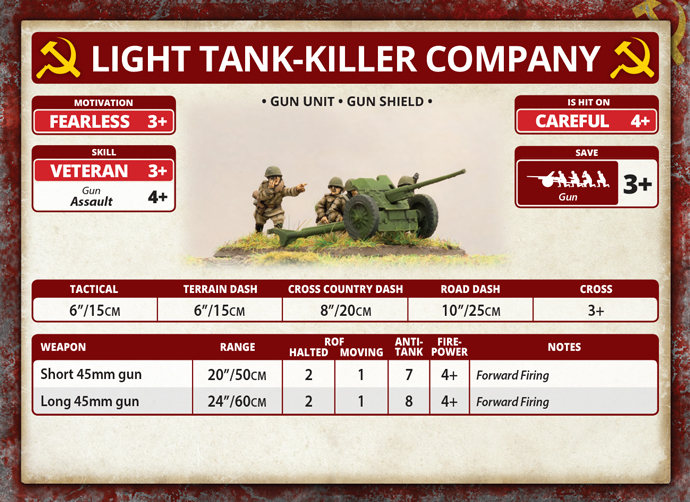 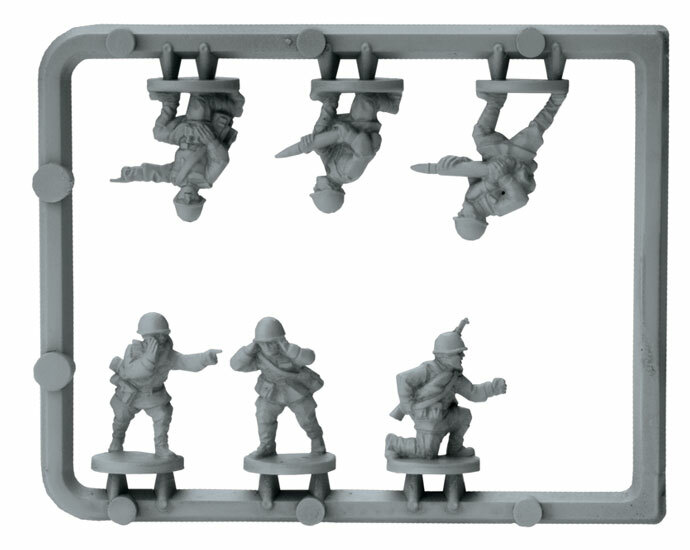 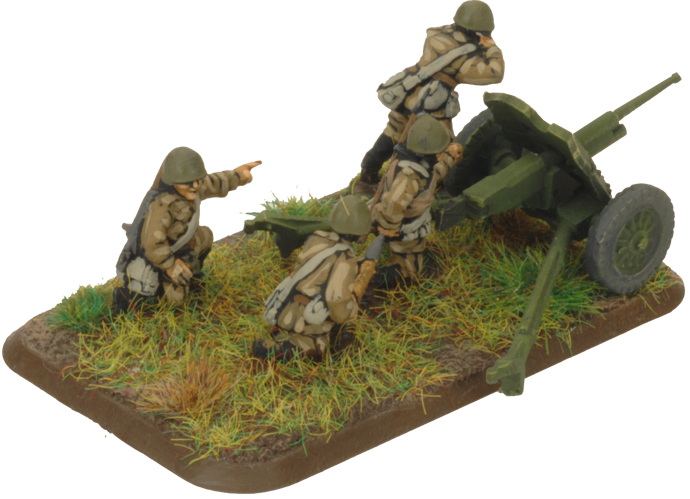 includes four plastic 45mm Anti-tank guns, one plastic gun crew sprue and four Unit Cards. 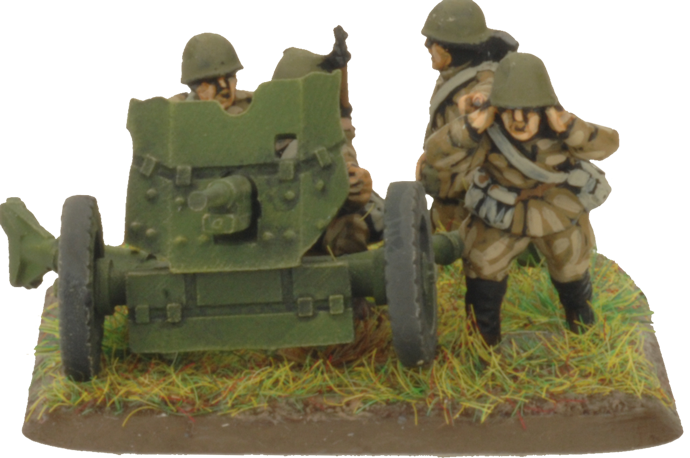 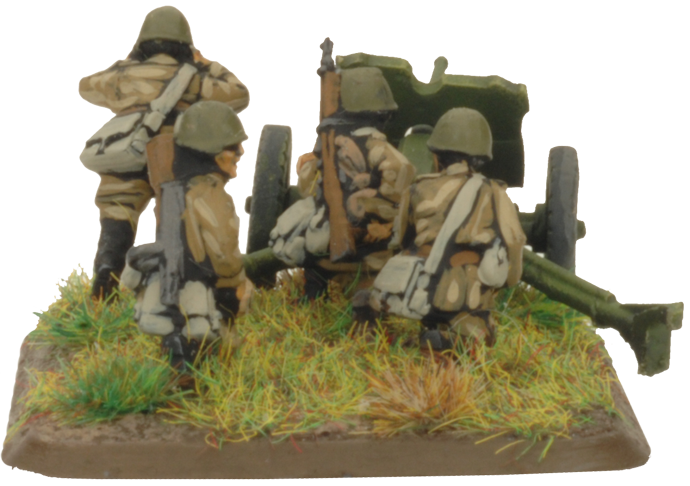 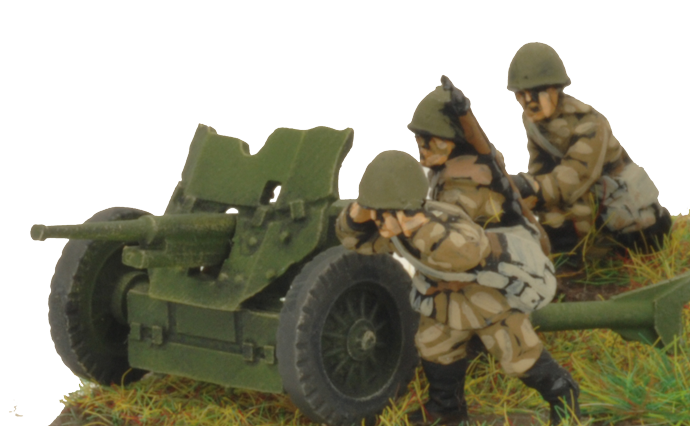 These 45mm anti-tank guns are extremely mobile in the hands of their Soviet crews, but they have to be, as the Soviets are rarely afforded the luxury of motorised tow vehicles. 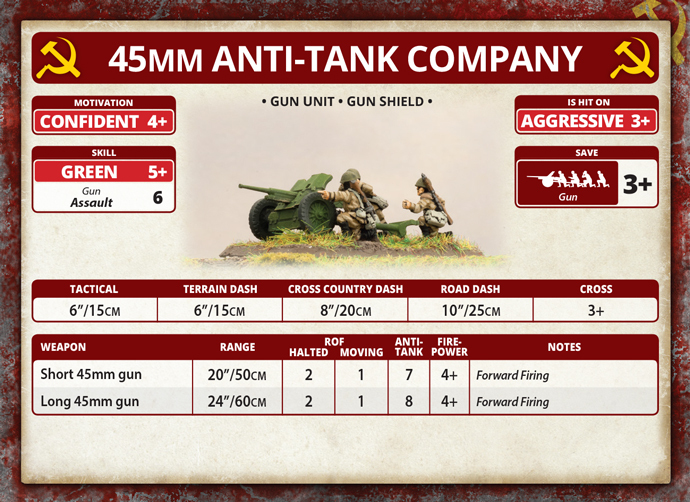 These elite tank-killers were hand-picked for their skillful handling of their weapons, which accounted for 70% of all German panzers destroyed by the Red Army.